Prior to joining BizFlow, Daniel was Vice President of Business Development at CALIBRE. He helped to grow the company from $80 million revenue to well over $160 million during his six years of tenure with CALIBRE. He is a recognized business transformation leader specializing in change management and business process improvement. 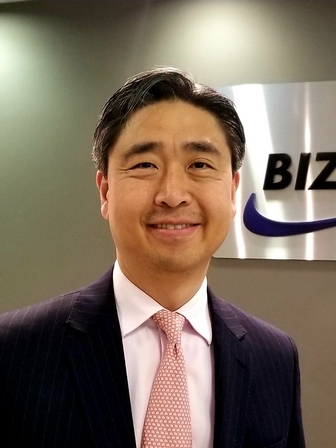 His past responsibilities include strategy development, capture management, proposal operations, and corporate development with a particular focus on performance and cost management and international consulting services. Prior to CALIBRE, he led SDG Services, as their CEO and President. Prior to SDG Services, he served as Principal/Manager for IBM Global Services, formerly known as PwC Management Consulting Services. Daniel also serves as a board member for various not-for-profit organizations including JC Mission, Inc., an organization focused on providing infrastructure needs to emerging countries. Daniel has an MBA from the Wharton School of Business, University of Pennsylvania. He holds a B.S. in Accounting from Smith School of Business, University of Maryland, and a B.A. in Japanese also from the University of Maryland.